This is what your savings will be. THIS YEAR’S BUDGET contained a number of tax changes that will mean an increase in the take home pay of workers at different levels. Finance Minister Paschal Donohoe announced a reduction in one of the USC rates, an increase in the ceiling on the standard rate of income tax and the increase in a number of tax credits. So, using our Budget Calculator, let’s take a look at what this means for someone earning €30,000. If you’re single and earning this amount, it’s not going to make much of a difference to the amount you pay in income tax. 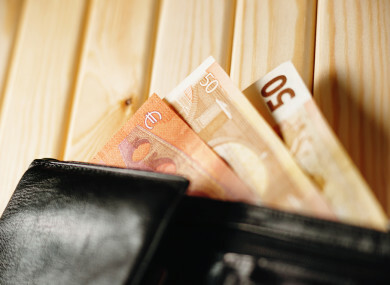 The entry point for the higher rate of Income Tax is being increased from €34,550 to €35,300 but as your pay is €30,000 this isn’t going to affect you. But PAYE workers also pay taxes in the form of the the Universal Social Charge (USC) and it is here that they will see some modest tax reductions. The ceiling on the second rate of USC is being increased by €502 to €19,874 and the third rate of the USC is to be reduced from 4.75% to 4.5%. This is a total annual USC payment of €673, a reduction of €39 on 2018. If you are self-employed and currently earning €30,000, you will benefit from the same savings as above. However, Donohoe also announced an increase in the Earned Income Credit from €1,150 to €1,350. This will result in an additional saving for self-employed workers of €200 per year. Email “Here's what Budget 2019 means for someone earning €30,000”. Feedback on “Here's what Budget 2019 means for someone earning €30,000”.